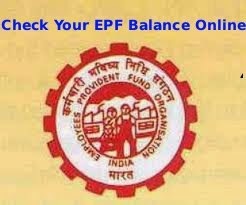 Check Your EPF Balance Online - View your EPF Account Passbook online. On July 1, 2011, Employees' provident fund organisation under Ministry of Labour and Employment, Govt of India had launched an online portal for all employees who have Provident Fund (PF) to check their PF Balance and PF Passbook online. "UAN" is your Universal Account Number and "ENG" is preferred language. Similarly the EPF pensioners have been given the facility to access their pension disbursement details through this mobile app. Download EPFO mobile App and install in your Android mobile. It will allow the user to access the service in a very low internet speed and all data are compressed to allow the user optimum benefit of access to the service with high usability. After registration, you will receive an SMS when the epassbook is available onlne. after that you have to login and download epassbook. this link is not working now. Here you have to select the PF office state. From the list of PF offices under the sate you selected, Select the EPFO office where your account is maintained. On successful submission, Your PF balance details will be sent through SMS to the entered mobile number. Your EPF balance has been sent through SMS on your specified mobile number. You shall receive the SMS shortly." Check your mobile for SMS.